Somewhat similar to my Asus eeePC story, where I upgraded the resident operating system from Xubuntu 16.04 to 18.04, and then tested the behavior and performance, with some rather interesting and sad results, I am going to try the same approach with my five-year-old Asus Ultrabook. A few days ago, after much deliberation and emotion, I moved the Trusty instance to Bionic via two upgrade hops. Now that we have the Bionic running on this machine, it's time to select the desktop environment. 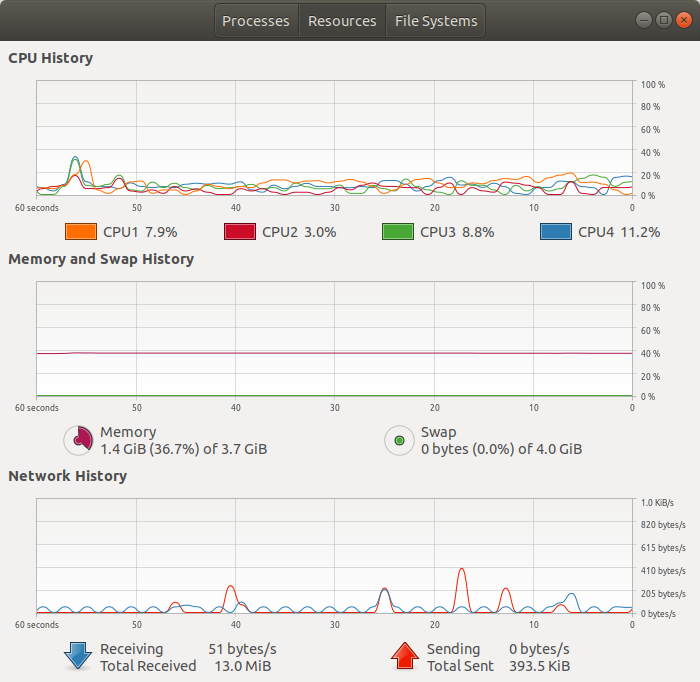 I am not inclined to use Gnome in my production setup, hence it needs to be something else. There are two choices here, Unity, as I've shown you last year, and Plasma, which is gracefully gracing my Slimbook laptop. We will start with the former, and then follow up with a KDE-flavored sequel. After me. I'm reusing the title joke, so forgive me. Anyway, step one, grab Unity and install it. This is a somewhat unusual choice, because officially, this ain't no more the thing, but the desktop environment is supposed until 2021, and that gives you a reasonable transition period to work on whatever comes in the future. We talked about this experience on my G50 test machine, but now, it's production setup, so everything takes an ever so slightly different spin. Good thing: with Unity there, it feels as though nothing has really changed. Familiar looks, the smooth top panel menu + buttons integration, speed. You also get a Show desktop icon, which is not something we can take for granted in this day and age. Everything was working correctly. But I did have some leftovers, like Skype 4.3, which will need manual pruning. Then again, for a machine with solid five years of actual usage, plus two upgrades in one day, the cruft is minimal, the errors unseen. 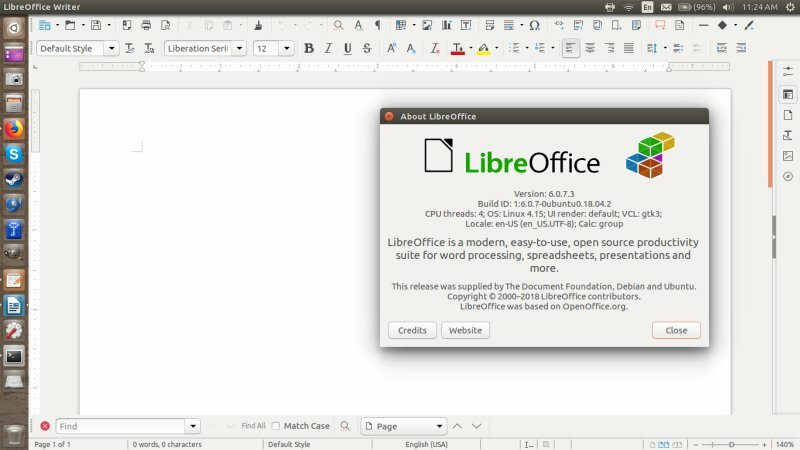 There are some changes in the file manager and text editor, for example, with the move to the Gnome base, and these will show, even if you use Unity. The stuff that I had configured - stayed configuring, including Samba sharing, printing, even TrueCrypt. I also have a big arsenal of media, the supremely witty material that I used in my Youtube videos, and all the projects opened correctly in Kdenlive, without any losses or glitches. I did encounter one small problem - I was not able to use the Fn keys to control the screen brightness or volume. I'm not sure just why yet, but I'm going to explore. This also manifests in there being no slider to control brightness in the power management utility. I don't think this is driver-related, because Trusty had no issues. This just might be a missing package, and perhaps I need a PPA, but I don't want to use any PPA for my production setup. So we shall see. So, what do we have here. 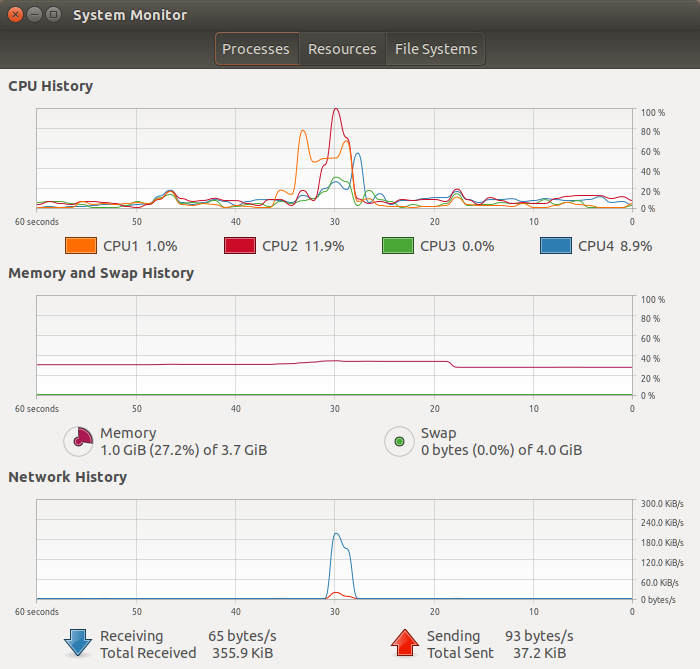 The Gnome version used 1.4 GB RAM on idle, with the CPU utilization hovering around 8% idle. The Unity version used 1.0 GB RAM and tolled roughly 5% CPU. The numbers do indicate Unity has favorable behavior, and this also translates into the actual desktop responsiveness. Much faster and smoother, plus better ergonomics. Reasonable. And given the fact I couldn't change the brightness, this also impacted the results some. Then again, the numbers are pretty indicative. With the full capacity and 100% brightness, we get about 4 hours, a very nice and respectable number. Lovely jubbly. I did get the kwin_x11 process to crash - while fiddling with the screen brightness. You may ask, why do you have it in the first place, well, there's Plasma on this box too, and SDDM controls the login. This didn't happen again, but then, I didn't gain the ability to control the screen thingie either. This definitely begs additional work to figure out the exact details. I am quite pleased with this upgrade. With Xenial supported until 2021, Unity is a viable choice, with fixes and updates that will allow you to continue using the desktop environment without issues. It still looks fresh and modern, a sign of good design (sign, design, get it) back in the day. Trusty remains the favorite son, though. There were no regressions - apart from the Fn keys et al - no software seizure, my data was fully intact, and on top of that, the desktop was rather sprightly. Indeed, if you compare to the netbook experience, there's none of that, on the contrary, but then, the age gap and the price bracket delta make a huge difference. Unity was stable and fast, just the thing that I want in my production environment. Regardless of how the upcoming Plasma test pans out, I'm very happy. This already gives me a necessary degree of freedom and a sense of solace that I can continue using the Ultrabook without compromises. Good. There. In fact, I might even do a series of combat tests on this box, too, similar to the Slimbook reports. Which brings Plasma into focus. And that shall be the focus of the next article in this little series. Keep your eyelids peeled. Or something.